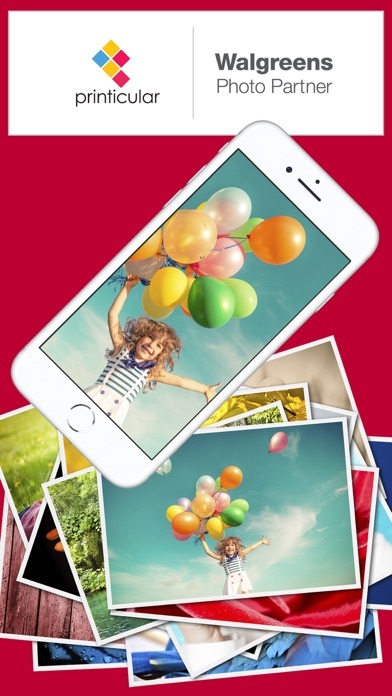 Photo prints from your phone. Pickup from Walgreens Stores in 1 hour. Send your local pics, Facebook, Instagram, Twitter, Dropbox or other online photos to your local Walgreens Store or Duane Reade. Pickup in about an hour. Direct from your phone or tablet. Set your photos free! Printicular connects to all your social networks and local device photos including Instagram, Facebook, Flickr, Dropbox, Picassa, Google+, Camera Roll and more. "Handy little app" - Mashable "Pretty awesome" DigiDay "Almost instant gratification" iPhoneography Artisan Printicular is the most direct way to print. Great for gifts, art projects, scrapbooking or just to ensure your photos are kept safe and sound. Enjoy. 30% OFF COUPON FOR WALGREENS PRINTS - STORE PICKUP ONLY - COUPON CODE: MEAM • Instagram Photos In Glorious 4"x4" and Now 8"x8" For Pick Up Today! Great for Scrapbooking. • Send Your Facebook Photos to Walgreens Stores For Pick Up in About an Hour! Print Your Memories. Great for Gifts. • Send All Your Flickr & Picasa Photos. Perfect for Archiving Your Digital Life. 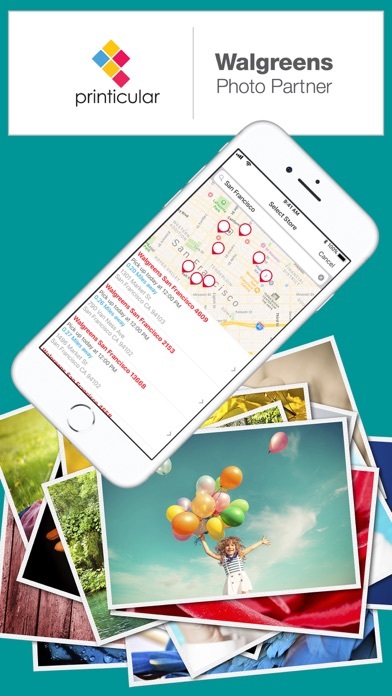 Send photos directly from your phone, or tablet and pickup at your local Walgreens Store. No need to sync with your computer. No need to transfer images from your device to another application. No need to visit a photo kiosk. No Login or Passwords required! 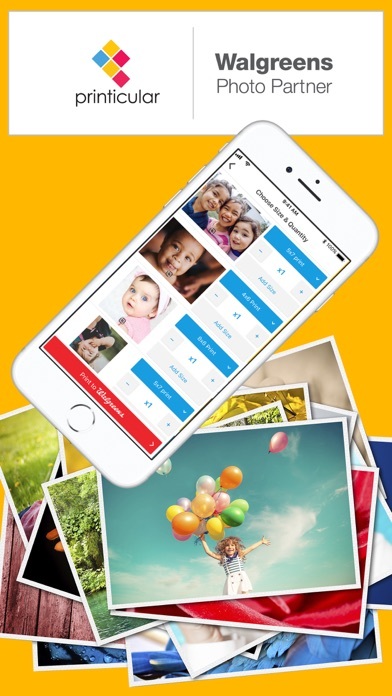 Printicular enables you to easily choose pictures from your albums to print and have them shipped to your home or have them ready for pick up at your local Walgreens in about an hour. • Send Photos to Any Walgreens Location for Pickup • Home Delivery Option Now Available! • Photos Ready In About an Hour! • Select 4x6, 5x7 or 8x10 Prints • Select Square 4x4 or 8x8 for Instagram Prints • Support for Instagram, Facebook, Flickr, Camera Roll. • Share your photos straight to Printicular. • 3D Touch Enabled With just a few taps you can select your pics, select the quantity and photo sizes and then pick them up at your local store. Express Printing From Your Phone™ Print Instagram, Facebook, Flickr, Google+ Picasa & Camera Pictures with Printicular. Printicular now offers home delivery! Get your pics by mail in 3-5 days. 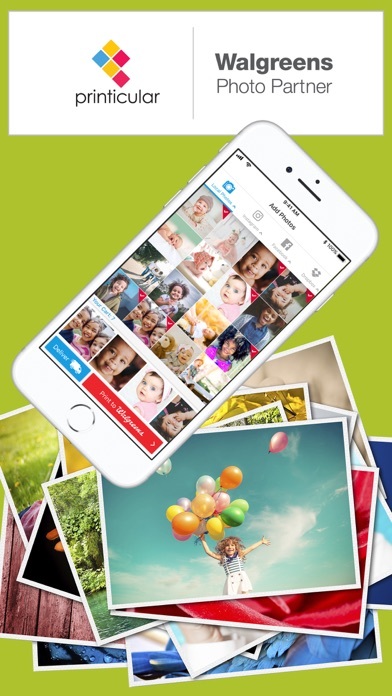 Print photos from your iPhone and get them in your mailbox. Now with 3D Touch you can force touch the Printicular Icon to Print today's pictures & more! Coupon code is not valid on Home Delivery. Coupon code valid for a limited time on the Walgreens Mobile Partner application only. Code must be entered in the mobile app quick prints checkout flow to apply discount. Timing will be determined by Walgreens server clock. Discount does not apply to previous purchases or taxes. Cannot be combined with any other offer. Offer valid on the Walgreens Mobile Partner application only. Walgreens reserve the right to expire the offer at any time. In store sales associates reserve the right to monitor and prevent offer abuse. Integrated with Walgreens since 2012, Printicular is proud to be an official Walgreens Photo Partner. Printicular is independently owned and operated by MEA Mobile Limited. Printicular is not owned or operated by Walgreens. For more information please contact info@printicular.com. This Walgreens app is the easiest one that I have used in a long time!! Thank you for making it easy to print my pictures. Your site doesn’t allow editing of pictures before they’re submitted. Hmmm, disappointed! I had to go into the store and Ali was extremely accommodating and if it wasn’t for his help I would have gone somewhere else. You need to keep him happy, he’s an asset to any organization. Awesome convent and I love it! I honestly wasn’t expecting Walgreens to have an app and one that makes it so easy! I thought I would have to download my pictures and save them to a usb or go through some similarly tedious process. And the prints are a lot less expensive than I was expecting! I’m definitely using this again in the future! I placed an order about a month ago now. The funds were taken from my account and I never received any form of communication from Printicular despite my multiple efforts to reach them through the email address provided in their support page. I’m disappointed and frustrated with this entire experience. Poor customer service support is the worst.